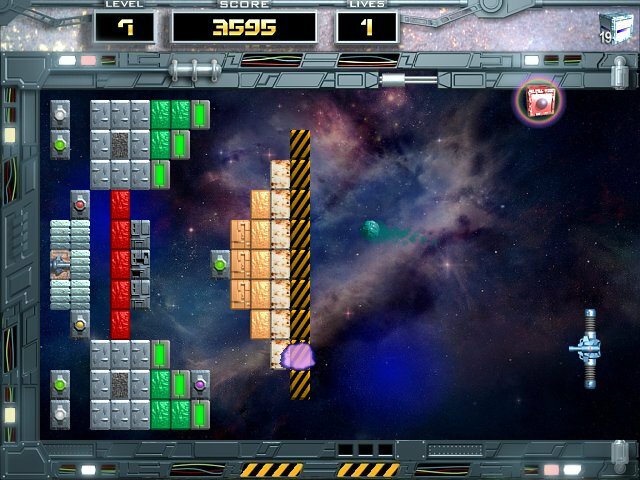 "Arkanoid: Space Ball" will be a surprise for the amateurs of unusual and picturesque games as Arkanoid and space games. Everybody who wishes to spend time perfectly will take a pleasure in "Arkanoid: Space Ball" too. A futuristic atmosphere, modern techno-style graphics, a dynamical gameplay and an excellent soundtrack give this game as a present for all Arkanoid’s admirers. ExtraMAME - A small MS Windows compatible game GUI wrapper for MAME, the Multiple Arcade Machine Emulator authored by Nicola Salmoria and the MAME team. MAME let's you play thousands of old-school arcade games on your computer. Space Knight - Your home planet has been invaded. Fight back now, or your people will be enslaved! Choose from three game modes with three types of ships; Cosmotronic, Cosmostatics and The Dark Knight. A fascinating journey into space! Black Eagle - Eight stages, each comprises several levels. Five types of tanks and various bosses. Some types of gun and pillboxes. One basic and four additional kinds of the weapon. Galaxy Invaders - You are a space fighter pilot who must shoot wave after wave of aliens and protect the Earth. Controls Move and fire - mouse. Exit/Pause - Esc. To Survive - Our team got another job. Now we have to storm the warehouse full of junk and hardened criminals. We thought that this would be an ordinary mission. You know where this is going... A couple shots fired into the air and the bandits are running amok.